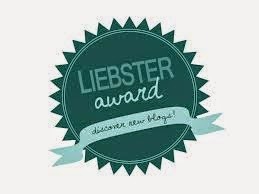 So, the lovely Amy from Little Love Heart and Elizzibeth from Elizzibeth27 have both nominated me for the Liebster Award! Like a lot of other bloggers, I wasn't too sure what this even was up until very recently when I saw blogs that I follow posting about it but I've really enjoyed reading their answers and I'm looking forward to doing it myself! So, thank you for thinking of me girlies! Sidenote: I was nominated twice so I have two sets of questions to answer! Eeeeeep. Firstly, the questions set by Amy! 1. Top 3 drugstore make up brands?I love Rimmel, L'oreal and Soap and Glory. 2. Snow or sunshine?I'm going to have to cheat and say both?! I love the sun but after a while I'm so ready for snow and cold weather. 3. Do you prefer to go casual or dressed up when shopping?There is an ongoing joke between my boyfriend and I that I either look a bit scruffy or really formal; I have no inbetween so whenever I go out I always end up looking quite dressy and formal anyway without even meaning to! 4. If you won the lottery and you won millions, what would be the first thing you buy?Hmmm. I don't know. I have a little fear of spending money if I have any significant amount of it. BUT! Since I really wouldn't have to worry about it I'd buy a ticket to somewhere hot for a few weeks. And then obviously I'd spend some in duty free too! DUH! 5. If you had to choose ONE make up item to wear and only that one item everyday what would it be?I think either concealer or mascara because I have really dark circles under my eyes which need to be covered because noone wants to see that, but also I need mascara because without it I look like I have no eyelashes... I'll go mascara because it makes me feel a lot better about my whole look! 6. Favourite place to eat out?I love Nandos. Always Nandos. 7. Lipstick or lipgloss?Lipstick. Lipgloss and my long hair just don't get on when there's any kind of breeze. 8. Who is your favourite blogger?Just one?! I love Louise from Sprinkle of Glitter because her posts always inspire me to be a better person and make me really look at life in a different way. 9. What inspired you to start a blog?None of my friends were ever really into make up and beauty like I have become, but when I went to university and lived with a girl who loved to talk about it and I finally had someone to talk to about it, I realised that I wanted to talk about it more and talk to loads more people about something that I was really getting passionate about. I made a blog back in 2012 but I deleted it and started again with Just Kirsten! 10. Go to outfit?Black skirt, statement/bright top and a jacket. 11. One thing you NEVER leave the house without?My phone. 1. Where would you like to travel to and why?Obviously I'd like to go on holiday to somewhere exotic and sun myself etc. But lately I've been doing a lot of research into volunteering in Ghana with children so definitely Ghana. It's something I've always wanted to do. Generally, it would be nail polish because I feel like that can really add to an outfit. But my favourite individual product of all time is Benefit They're Real mascara because... well I don't need to say why. You know. 3. What is the best achievement you've had since being a blogger?I think the best achievement for me is knowing that there are people who actually care about what I write in my little space on the internet. That's crazy to me. 4. Who is your favourite Youtuber?Grace from The Ugly Face of Beauty or The Saccone Joly family! I can sit and watch them for hours and hours. 5. What is your inspiration for starting your blog?Like I said before, when I realised that talking to people about make up and beauty was something I really enjoyed doing, I decided that starting a blog would be a really good opportunity to do so. And so Just Kirsten was born. 6. What is your favorite blogger event that you've been to? If you haven't then which one would you like to go to? I haven't attended any blogger events yet, but I'm going to the Bloggers Love Fashion Week which I'm SUPER excited for. 7. When did you decide to start your blog? I originally started in around September 2012 but I started afresh in about February 2014 and I'm so glad I did. 8. What's the most difficult thing you've had to overcome whilst being a blogger? I'd say initially, I felt like I constantly had to be buying new things to talk about which obviously wasn't going to work with a student's budget so definitely making myself understand that I can just work with what I've got and it will be fine for now. Also timing and making time for blogging as well as being a student. It's all worth it though. 9. If you had 24 hours to do all of your favourite things, what would be first?My favourite thing to do by far is spend time with all my family so I'd definitely just get them all together and spend some time with them first. 10. What is your favourite song of all time?Robbie Williams - Angels. 11. Who has been the most supportive whilst starting your blog?Definitely my boyfriend and my Mum. My boyfriend is constantly giving me new ideas and asking how things are going which is lovely and my Mum told everyone she knows about my blog as soon as I told her about it because she thought it was a brilliant idea. 2. If you could only wear make up from one brand for the rest of time, which would it be? 3. Bold eyes or a bold lip? 5. If you had to give up buying make up or clothes and accessories, which would it be? 7. How long did you wait before telling your friends and family about your blog? 8. Where do you hope your blog will take you in the future? 9. What do you love most about yourself? 10. What do you do if you lack inspiration? 11. If you could get beauty advice from anyone in the world, who would it be and why? Thank you again to Amy and Elizzibeth for nominating me!